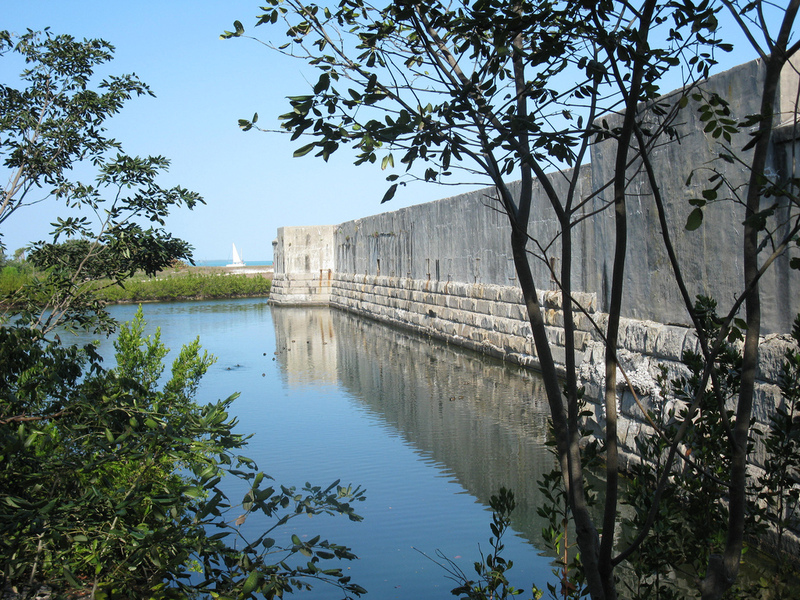 I’ll start out this blog by saying that 99% of tourists have NO IDEA that Key West has a Civil War Fort… and WOW are they missing a great attraction! I’ll tell you right now to dig deep in your pocket and splurge by paying the $3 or $4 a car load price, it’s worth more than that I assure you. This blog, part 1 will be on its history and exterior only, which in itself is a marvel of wonder for your eyes and cameras as you can see by the top photo. Below you can see different angles of all sides of the fort walls and moat… yes I said MOAT! Here’s a portion of the historical marker posted just outside of the fortress walls: Fort Zachary Taylor – Constructed in 1845 as part of the Third Tier System of Defense which called for the establishment of masonry fortresses constructed along America’s coastline to prevent sea attacks upon the United States. 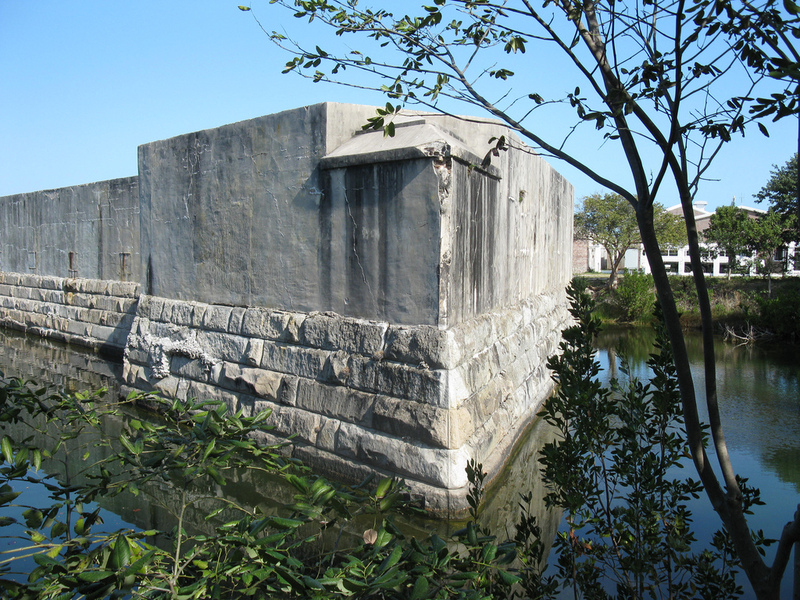 This fort was an important defensive structure for the United States because of its command over the waters of the Straits of Florida & Gulf of Mexico. When completed, the fort was three stories tall, held 140 cannons and home to almost 450 soldiers. Fort Taylor remained under federal control (Northern Army, Blue Coats, Yankees) during the Civil War. 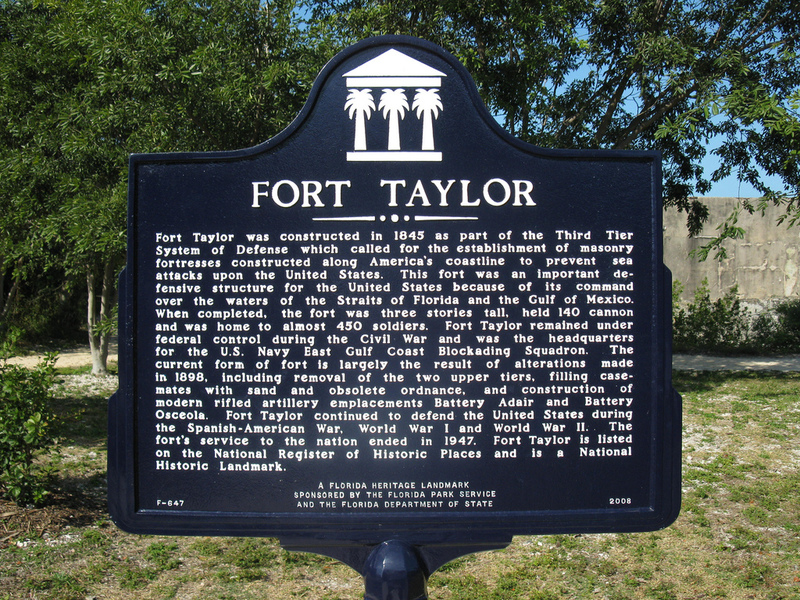 Fort Taylor continued to defend the United States during the Spanish-American War, World War I (WWI), and World War II (WWII). 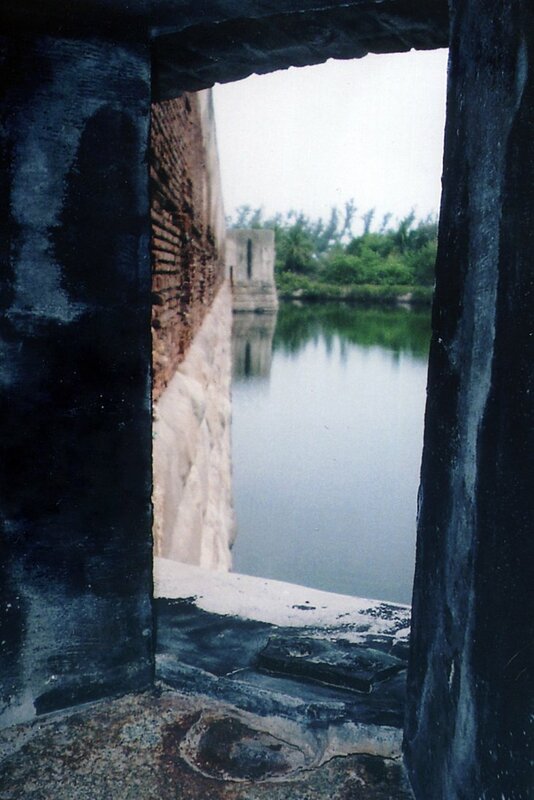 The fort’s service to the nation ended in 1947. As you can tell, this fort is rich with history and even more alluring to the eye. Wow, I told you it was awesome! This is one of our favorite places to go in Key West to get away from the crowds and enjoy a well-earned sunset and gorgeous views of a Civil War fort. You can find the Civil War historical relic exactly beside the Old Navy Pier about 4 blocks west of Duval Street at the ocean’s edge. See you soon for part #2. Key West’s LONE Roadside Grave!